Since conservationists Mark Avery and Chris Packham organised the first official ‘Hen Harrier Day’ in 2014, the campaign to ban driven grouse shooting has been gathering momentum. Avery published his controversial book Inglorious: Conflict in the Uplands in 2015, and a 3rd Westminster government e-petition with over 120,000 signatures led to the debate of driven grouse shooting in the House of Commons in October 2016. In his book, former RSPB Conservation Director Avery explains why grouse moors sanction the illegal killing of these magnificent birds of prey, as well as other red grouse predators. The priority is to maximise grouse numbers for the shooting season, which starts in August on the ‘Glorious Twelfth‘. Inglorious is a fusion of scientific reporting, argument and memoir as Avery first describes hen harrier biology and peat bog ecology, and then makes a strong case to ban driven grouse shooting, recalling events during his time as RSPB Conservation Director and beyond. Avery refers to conservation agency analysis showing the UK has suitable habitat to accommodate up to 1,200 pairs of hen harriers, yet only 570-806 pairs were found in recent surveys. In Wales where grouse shooting is minimal, hen harrier numbers are increasing, with 2010 figures showing 57 pairs from a habitat potential of 250. In England, there could be 330 pairs, but in 2010 there were only 12 pairs, reduced to 4 pairs in 2014. By contrast, hen harriers are doing well on moorland that isn’t managed for grouse shooting. Hen harrier population numbers are falling compared to buzzards, red kites and golden eagles because hen harriers don’t always remain in the area where they hatch. These strikingly beautiful birds can disperse widely and may unwittingly mate and nest on grouse moors where they are persecuted. Avery aptly describes the effect of dispersal and illegal killing – ‘Grouse moors act as sinks into which large parts of the hen harrier population are lost’. If you see a hen harrier in England’s uplands now, you can count yourself very fortunate indeed. Red grouse aren’t treated with any more respect, driven out of the heather by a line of beaters moving towards a row of shooters hidden in butts. These so-called sportsmen pluck birds from the sky in a manic massacre, unlike hunting on foot where only a few grouse may be taken in a day. Abbeystead in Lancashire holds the record for the highest number of grouse bagged in one day: 2,929 birds killed by eight shooters in 1915, reports Avery. Numbers aren’t as high today, but it gives you an idea of the insane scale of grouse killing and the destruction of wildlife and natural habitat needed to maintain grouse numbers. Avery highlights the tragedy and pointlessness of killing hen harriers to protect grouse so they can be shot not long after. Driven grouse shooting isn’t the traditional rural life it’s claimed to be. Driven grouse are sitting ducks, the prize of a Victorian blood sport reserved for a rich minority clad in tweed. Game shooting is big business. A driven grouse-shooting experience comes at a high price, but the cost extends far beyond the price paid by punters. England’s uplands are blessed with rare and unique peat bogs designated as conservation areas. Landowners are trusted with conserving this important habitat, which in a healthy state can hold significant amounts of carbon that would reduce the UK’s carbon footprint. Healthy peat bogs also retain rainwater, which helps prevent lowland flooding. But healthy peat bogs are of little use to grouse moor owners whose main concern is to maximise grouse numbers. Intensive moor management entails draining peat bogs to create a drier habitat for heather to grow. While some heather is retained for nesting, other areas are burned to encourage new shoots that young grouse feed on. And it isn’t just hen harriers and peat bogs at risk, says Avery. Although legal, snares set on moorland to protect grouse from foxes also maim and kill non-target wildlife such as rare mountain hares and badgers. The driven grouse shooting lobby is quick to argue that draining peat bogs and burning heather has boosted populations of birds other than grouse, such as the curlew. While curlew numbers have risen, this is a smokescreen for the damage the industry is causing. 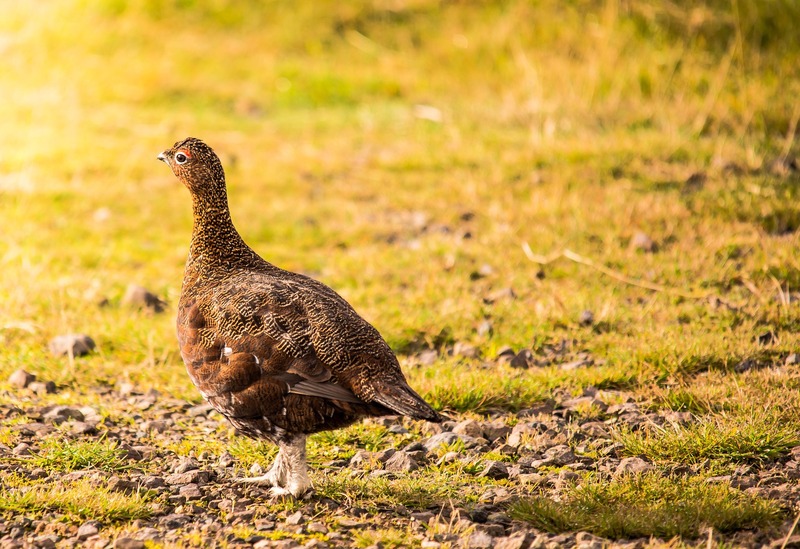 Avery argues that any robust and objective cost-benefit analysis wouldn’t support grouse moor management as a conservation project, and that’s without considering the intangible costs of using land designated as a Special Protection Area (SPA) or Site of Special Scientific Interest (SSSI) in ways that few people benefit. Put plainly, taxpayers are funding grouse moor owners to make money from destroying wildlife and peat bogs, says Avery. For the time being, the driven grouse industry enjoys the protection of politicians who own grouse moors or who are shooters themselves. While these politicians are in key positions, they can influence policy and even prosecution. Natural England’s attempted prosecution of Walshaw Moor in 2012 for illegal land management, including draining and burning, was blocked by a Defra minister. Owned by a millionaire businessman and grouse shooter, Walshaw Moor near Hebden Bridge in West Yorkshire is part of an SPA and SSSI. Avery reports communications showing the sudden suspicious back down by Natural England. After much soul-searching and the realisation the grouse industry is resistant to change and will continue to break the law, Avery recounts how he moved from self-proclaimed ‘wishy-washy liberal’ to outspoken hen harrier conservation campaigner. He faces the driven-grouse shooting industry, lobbyists and pro-shooting groups head on. He pulls down their defence of creating economic value and contributing to wildlife conservation when he proposes that government subsidies and environmental damage be factored in. The 2013 State of Nature report says that although some species thrive after burning, intensive land management invariably leads to biodiversity loss (65% of upland species studied had suffered decline), such that the National Trust has reviewed upland land management. Their vision for the Peak District is to restore a ‘landscape of healthy peat bogs, heaths, woodland and wildlife’. Mark Avery is a natural storyteller who takes you on his campaign trail. He describes trips to North Wales and meetings with other conservationists and bird enthusiasts. His delight in seeing willow warblers, golden plover or meadow pipits is just as captivating as when he turns round on the hunch a rare male hen harrier is mockingly sky-dancing behind him to discover one actually is. At times, when injustice and exploitation are exposed, Inglorious is an upsetting and dispiriting read, but Avery’s focus is on the future and his optimism, commitment and faith give hope. In the end, Inglorious is a celebration of the hen harrier and the growing number of people dedicated to saving this unique bird of prey from being wiped out. Avery concludes with his vision for 2050 – ‘uplands that deliver for us all and not just for the tweed-clad few’. He imagines a former gamekeeper looking back on the inevitable fall of an industry claiming wildlife conservation and driven grouse shooting can co-exist when evidence from the Langholm Moor study has since proved otherwise. If you care about nature, Inglorious is a compelling read. Avery’s evidence is shocking and his case for banning driven grouse shooting is convincing. Inglorious isn’t against individuals, but against a shooting movement that has had its day. If you value truth, justice and equality, Inglorious is for you. What do you think about driven grouse shooting? Is it time for an outright ban?